Running Press Miniature Editions, 9780762493807, 32pp. 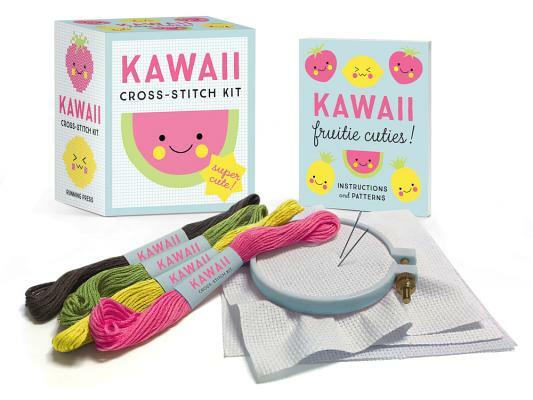 This adorable cross-stitch kit gives kawaii fans everywhere all the materials they need to stitch super-cute designs! Sosae Caetano and Dennis Caetano are the founders of Trellis & Thyme, an independent pattern company. Their shop includes more than a hundred plushie, embroidery, and cross-stitch patterns. Trellis & Thyme has been featured in Cross Stitch Crazy and Mollie Makes, and on Feeling Stitchy.